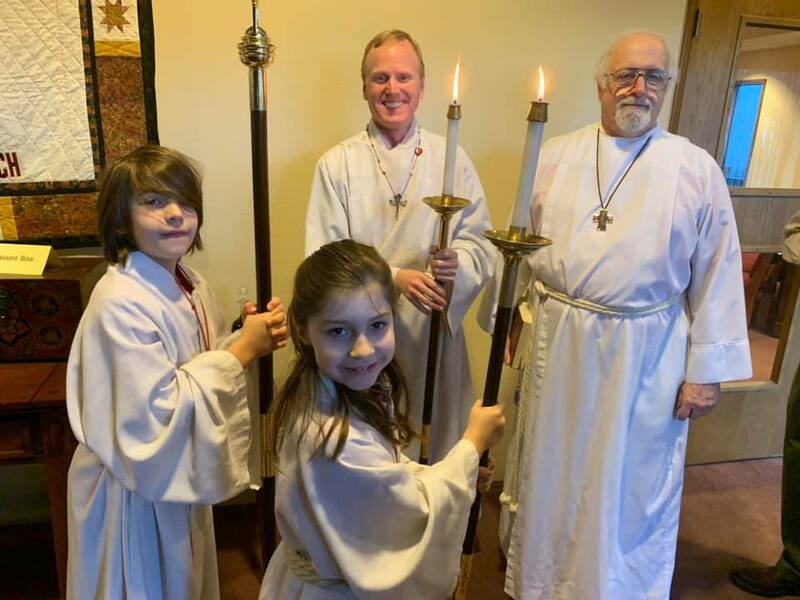 Our acolytes are young people who want to serve at the altar as part of our worship experience. The procession into the church is led by a crucifer who carries the cross, followed by two torchbearers carrying candles on long stands. During the preparation for Communion, one of the acolytes helps prepare the altar by handing the vessels to the priest.